There was a time when the debate about which state produces the best football players revolved around three states: Ohio, Pennsylvania and Texas. Occasionally, California would be thrown into the conversation. Today, all of those states are still duking it out . . . for second place. USA Football does an annual count of which state produces the most NFL players, and Florida was the winner over California in a photo-finish. 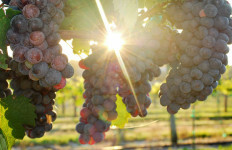 The Sunshine State produced 204 players to California’s 203. 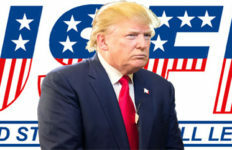 Texas produced 181, and Georgia, a newcomer to the debate, generated 114. Those were the only states in triple digits. Longtime high school power Ohio was fifth, with 78. Pennsylvania – birthplace to such football legends as Joe Namath, Joe Montana, Dan Marino and Tony Dorsett – finished tied for eighth, with 55. Not surprisingly, Florida led the way among high schools producing NFL talent as well. 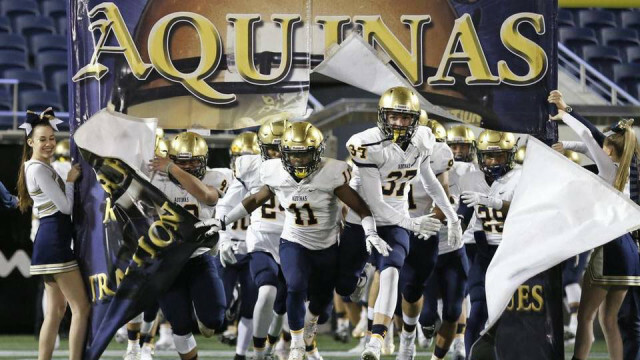 Ft. Lauderdale’s St. Thomas Aquinas High School is home to a whopping 15 players. Two other schools, including Norland High School in Miami, produced six each. Two more South Florida schools, one in Miami and one in Delray Beach, produced four. Of note, IMG Academy, a sports academy in Bradenton, has 13 four-star recruits and a virtually unprecedented five five-star recruits headed off to play for college football programs. In fact, the school’s entire team is being recruited by schools playing at the highest level of NCAA football, Division I’s Football Bowl Subdivision (FBS). The debate about which state is number-one in high school football will continue to rage on, of course. But now, the debate will begin with Florida. 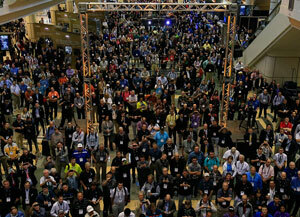 Attendees flocked to the PGA Merchandise Show for the latest trends in golf equipment, technology, products and more. Florida has more golf courses than any state in the country. The sport generates more than $1.4 billion in wage income alone in Florida. This year the Professional Golfers’ Association of America celebrates its 100th anniversary. And the 63rd annual PGA 2016 Merchandise Show is being held at the Orlando Orange County Convention Center, Jan. 27 to 29, a hole-in-one economically. More than 1,000 exhibiting companies with 35,000 attendees from 75 countries drives the Orlando economic golf ball an estimated $82.7 million yards. Among the show’s offerings: product presentations, PGA forum stage, FIT to W.I.N. Pavilion & Stage, Inventor’s Spotlight, new product zone, PGA Show Golf Travel Pavilion and the Golf Channel’s “Morning Drive” is broadcasting live. The Indoor Demo Days at the ETC features the country’s largest indoor golf range and equipment test center where attendees can experience hands-on testing of the newest equipment and the latest advances in technology and design from leading golf companies. There are also 47 hitting bays, a putting green and a PGA Short Game Challenge area. The golf gods will be busy in 2016, and golfers will find their own slice of heaven in the Sunshine State all year. Florida Cup CEO and former FC Dallas midfielder Ricardo Villar at a press conference before the tournament explained its importance as, “the main preparation location in the world for preseason.” He went on to say that the tournament drew more than $2 million in hotel reservations alone before it began. The nine participating teams this year were Brazil’s Corinthians, Fluminense, Atletico Mineiro and Internacional; Germany’s Schalke 04 and Bayer 04 Leverkusen; Ukraine’s Shakhtar Donetsk; Colombia’s Independeiente Santa Fe and Fort Lauderdale’s Strikers. 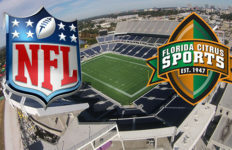 The 10 matches, Jan. 10 to 20, were played throughout the state: the ESPN Wide World of Sports Complex in Kissimmee; the Florida Atlantic University (FAU) Stadium in Boca Raton; and the Lockhart Stadium in Fort Lauderdale. Emerging as this year’s Florida Cup champion was Brazil’s Club Atletico Mineiro. Best Player of the tournament was Mexican striker Javier “Chicharito” Hernandez from Germany’s Bayer Leverkusen. Other activities during the tournament included an All-Star Charity event, shootout at the Orlando Magic-Washington Wizards game at the Amway Center in Orlando, participation in a Disney parade and an open panel on youth development from the participating clubs.